Let the little things slide – Right now, at my house, the bed is unmade, the laundry is unfolded, and there are dishes in the sink. 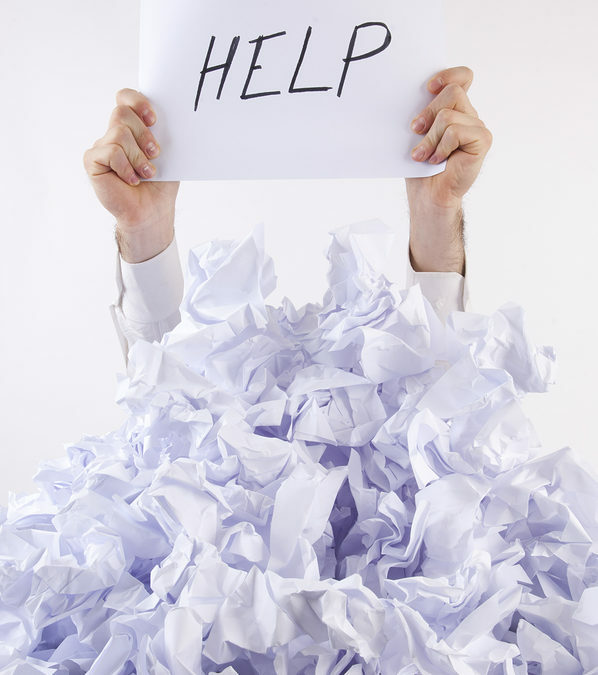 Right now, in my office, there’s a pile of magazines that need to be looked through, a pile of papers that need to be filed, and a pile of expenses that need to be entered. Right now, on my to-do list, are many documents to be edited and a full email inbox to go through…and none of that really matters. These are the little things that I normally do to keep my life calmer and more clutter-free, but there simply isn’t time right now and I have to let them slide. And forgive myself for not keeping up with my own standards. Plan and prioritize – There are urgent things that need to get done and there are important things that need to happen…and sometimes they’re the same things and sometimes they’re not. When I remember to plan and prioritize, I spend the time thinking through what is really important and what really needs to happen – whether or not it’s urgent – so that I actually get done the things that matter. The other things? Well they go back to my first point. I simply have to let some of them slide. Go slower – It seems contradictory to go slower, but I actually get more done that way. When I rush and run, I risk making mistakes and missing important details. When I go slower – slow and steady as the tortoise would offer – I reach the finish line with my tasks accomplished and more of my sanity intact. Take quiet time, even when I don’t have it – Part of my overwhelm may be in my head, and part of it certainly may be of my own making. I find that when I carve out time – even five minutes – to pause and breathe, my overwhelm seems to lessen. It again seems contradictory to give myself more to do when I already have too much, but when my new to-do is space to do nothing for a minute or two, I find more space to handle everything that has overwhelmed me in the first place. Give it away – Sometimes my overwhelm is directly related to my inability (or unwillingness) to delegate tasks. Again, even though I coach others to do differently, I sometimes find myself holding on to everything to somehow prove to someone (maybe myself) that I can get it all done and I am superwoman…only I’m not. When I ask for help and share my responsibilities and to-do’s, I feel less alone, less harried, and less overwhelmed. How do you handle overwhelm? What are your key tips to staying calm when there is no reason to? For a free 30-minute consultation on lessening the overwhelm in your life, contact Lisa at lkohn@chatsworthconsulting.com. Delegating is a great way to stop overwhelm and build your team. Thanks for sharing Tim! Well, we all have been overwhelmed with the task we need to do. But I focus on small things that can be solve easily and keep that momentum. You will never notice that you already finish your without even bothering to check on it. Thanks Melisa. I also find it helpful to make myself notice the things I do accomplish, as that helps me feel less in overwhelm and I’m likely not to notice them if I don’t actively try to.